February 13 – The first electric locomotive-hauled train enters Grand Central Terminal in New York City following a new regulation that requires all trains using the terminal to be electrically powered. 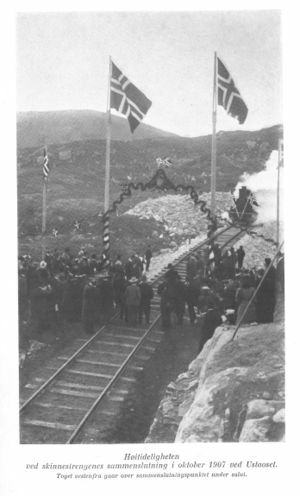 Completion of the Bergensbanen, Norway. The Bergensbanen connecting Bergen to Oslo, Norway, is completed. This page was last edited on 7 February 2008, at 21:41.